Fantasy Book Critic: Winners of the Stephenie Meyer/The Host giveaway!!! Winners of the Stephenie Meyer/The Host giveaway!!! Wow! I knew that Stephenie Meyer was popular, but I just didn’t realize how popular. 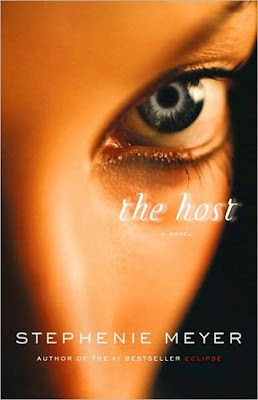 At 6919 entries, “The Host” is easily the most popular giveaway I’ve had on the website, and if it’s any indication, then Stephenie’s new book is going to be a runaway success :) So congratulations to Karen Gonyea (New York), Christy Dorrity (Utah), Elli Kewley (Michigan), Lindsay Clanton (Colorado) and Amanda Simancas (New York) who were all randomly selected to win a COPY of Stephenie Meyer’s new book “The Host” thanks to Hachette Book Group USA!!! Remember, “The Host” comes out TODAY, so be sure to pick up your copy! Also, IGN has premiered the trailer for the movie adaptation of Stephenie’s wildly popular book “Twilight” HERE. I haven’t read the series myself, but the trailer looks good even if it is short :) Anyway, the film stars Kristen Stewart (Jumper, The Messengers, Panic Room) and Robert Pattinson (Harry Potter and the Goblet of Fire) and will be released December 12, 2008. 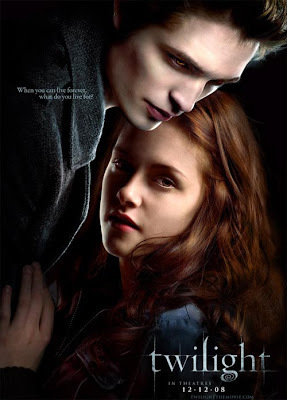 For more information, visit the Official Twilight the Movie Website. “Hold it, Kyle.” Jeb’s word were slow, almost casual, but the big man stopped. He grimaced and turned to face Melanie’s uncle. Happy birthday :) And how many entries?! What?! I got 60 once, and I was uber-pleased... Darn. If you're old, I'm a fossil. Happy Birthday!! 30 is not old - just a new shade of young. Happy Birthday!